Sewers may be rats’ stomping grounds, but some apparently still need to learn how to navigate a sewer grate. 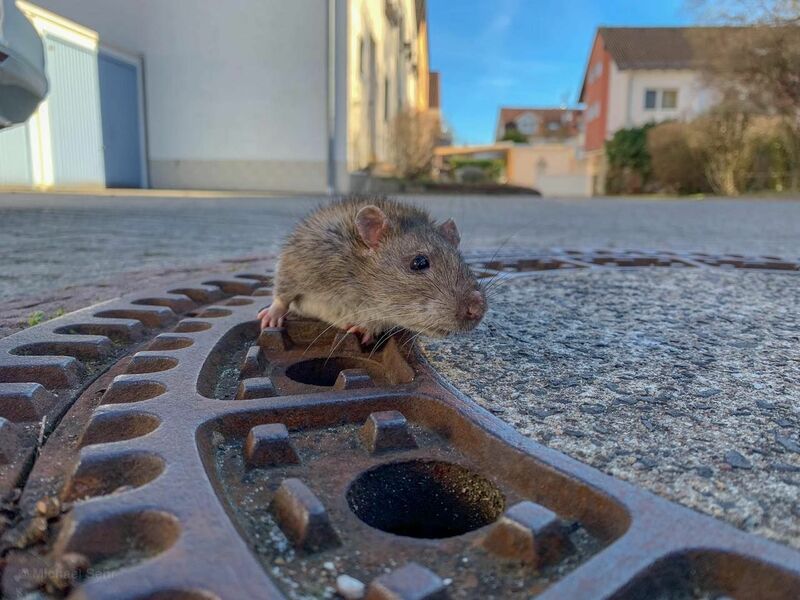 This little rat, who still hasn’t shed its holiday weight, got stuck halfway inside a sewer manhole on Sunday afternoon in the town of Bensheim, Germany. According to The Guardian, the Auerbach volunteer fire brigade and the Rhein Neckar animal rescue team were called to rescue the plump rodent from its trap. 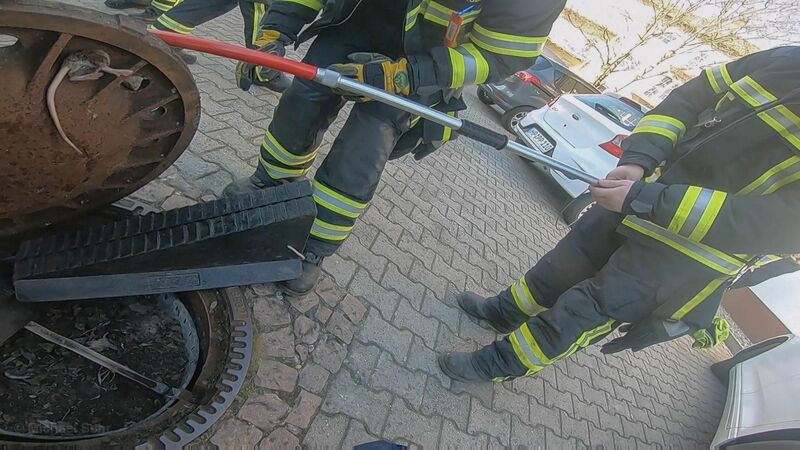 Rescue worker Michael Sehr told news agency DPA that the rat “had quite a lot of winter fat and got stuck on its hips — nothing was going forward and nothing back.” Sehr was unable to free the rat himself, and required a team of firefighters to assist him by propping up the manhole cover. Sehr said, “Even animals that are hated by many people deserve respect.” The post relating the rescue on the Rhein Neckar animal rescue’s Facebook page is packed with comments from people who wholeheartedly agree and applaud the mission.